While starting a new restaurant you may be wondering about the interior design and dominant theme of the space. There are several techniques for setting up the space in an inviting, appealing way that will set the mood for customers to have a happy dining experience. Whenever a restaurant owner makes an equipment or furniture purchase, they are always looking for quality and value. Quality means it will last long and work well with low maintenance and value is basically getting quality at a low price. Quality restaurant furniture is especially important because restaurant furniture must be able to withstand the usage by tens to hundreds of customers a day. One piece of furniture that is more difficult to judge quality is the Restaurant booths. Here is a good overview of what to look for and ask about when you are purchasing restaurant booths. The first thing to look for is the construction of the restaurant booth. Booths are typically made in three piece or two piece designs. A three piece booth construction consists of the back, the base, and the seat. Three piece designs are less expensive and suitable for most restaurants. A two piece booth construction consists of the back and base as a single piece and the seat as the second piece. Two piece designs are more costly due to the extra labor costs. They are sturdier and remedy the risk of the back of the booth becoming loose and beginning to wobble over time. Two piece designs are recommended for heights in excess of 48″ because the taller the booth, the more stress on the back. 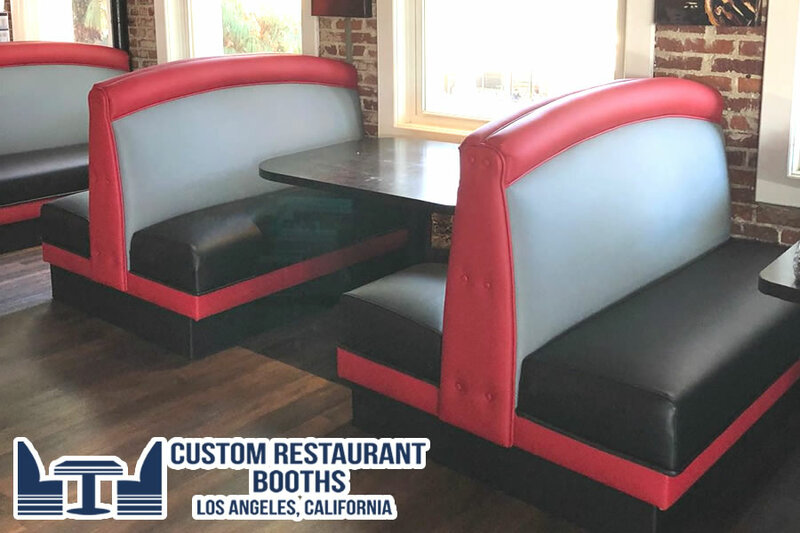 Quality restaurant booth manufacturers know of slight manufacturing adjustments than can be made to improve the durability of a three piece booth to match a two piece booth. Think about when you visit your favourite restaurant and how much you enjoy being there; the smell of the food, the cool music in the background, the taste of your wine and the chic decor surrounding you. Creating this perfect atmosphere can be tricky but here are some simple solutions to improve the look and feel of your very own bistro. When making the decision to open a fine dining restaurant for the first time, the restaurant owner will want nothing but the very best. Even though the desire is there to create a beautifully decorated and inviting environment for the customers, contributing too much expense, it is essential to consider the future. Investing in long-lasting, durable, and practical, as well as eye-catching but affordable restaurant furniture and other furnishing trimmings is a necessity. Always keep in mind that people will come to your restaurant to sit comfortably, rest, and relax. Therefore, it is essential that your restaurant booths give them a lot of comfort. Make sure the seats and backs of the booths are soft rather than made of wood. In order to ensure this, you can choose soft fabrics for the booths. The Highest Quality in Fabrics and Wood in Los Angeles, California. 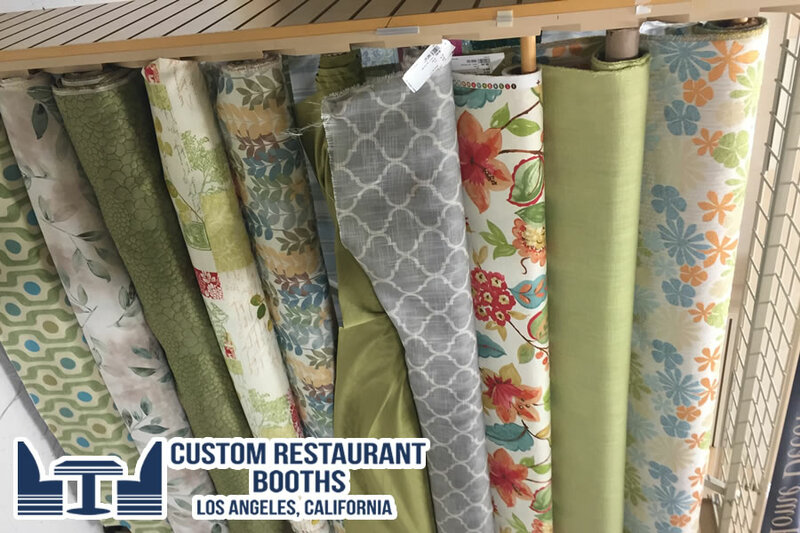 When it comes to choosing soft fabrics for the seats of your restaurants booths, you can select them from among various types and colors . A good solution is to buy the fabric keeping in mind whether it can easily be cleaned or not. Take suggestions from commercial restaurant furniture suppliers about which easy-to-clean fabric to choose. Custom Restaurant Booths, Los Angeles, Carlifornia. We are a Company working since 1976 wich make Restaurant Booths from scratch, our Company offers superior comfort and style, in our company we combines attractive styling and comfort with durability. Our booths are designed and built to last. Entering fast food restaurants can give you a great foundation and starting point of deciding on restaurant furniture for your own business. You don’t need to to stare into space when deciding on designing a restaurant.